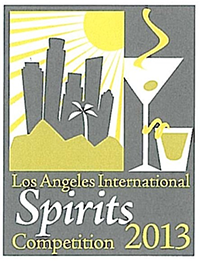 Shochu : It's good for you! 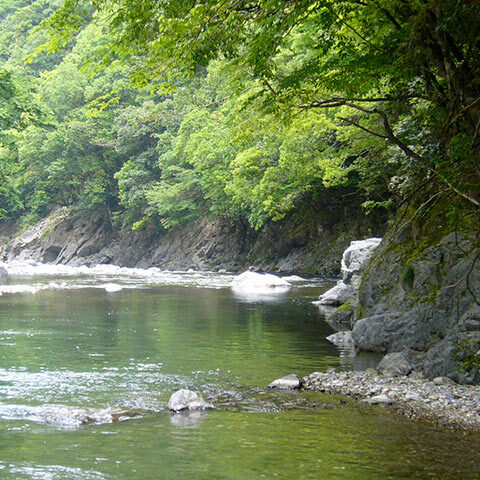 The Kawabe River is famed both for the quantity and the quality of water that flows through it. 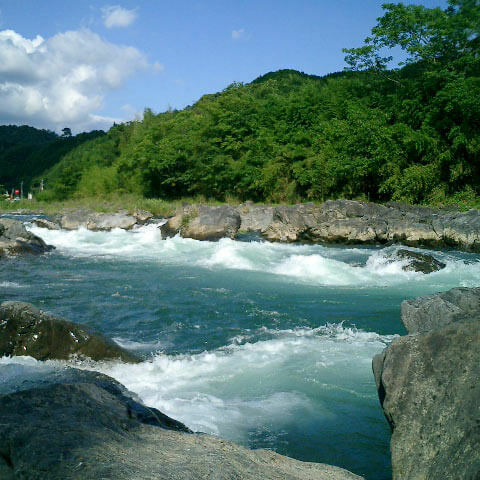 It is the largest tributary of the Kuma River, and runs a length of 67 kilometers. Since 2006, for 12 years running, the Kawabe River has been selected as having the most beautiful water out of all the rivers of Japan. The waters sparkle with a bright emerald green as the light reflects off the river, but a closer look reveals a clarity that extends down to the rocky riverbed. Sweetfish, gobies, chubs, and trout populate the waters, and the air around the river twinkles with innumerable fireflies in early summer. The Kawabe River wasn’t always in such safe hands, though. For forty years, starting in the 1960s, the river was precariously in danger of having its flow restricted by the construction of a dam. Finally, in 2008, Governor Kabashima of Kumamoto proclaimed the project as dead, putting an end to the specter of a dam along this mighty waterway. Now that the waters of the Kawabe, known as the finest in all Japan, were safe, we breathed a sigh of relief knowing that we’d still be able to make our Kawabe shochu with the same high-quality ingredients that we always have. Kawabe is made from just water and rice. We craft Kawabe with water from the Kawabe River, the purest of any river in Japan, and with rice grown from these same waters. 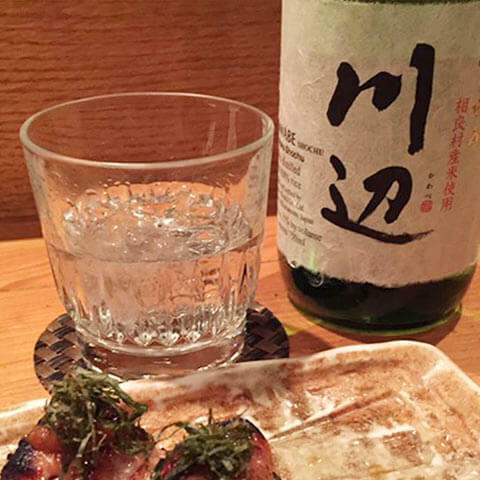 We combine these ingredients with time-honored Sengetsu shochu brewing and distilling techniques to make this perfectly balanced shochu. 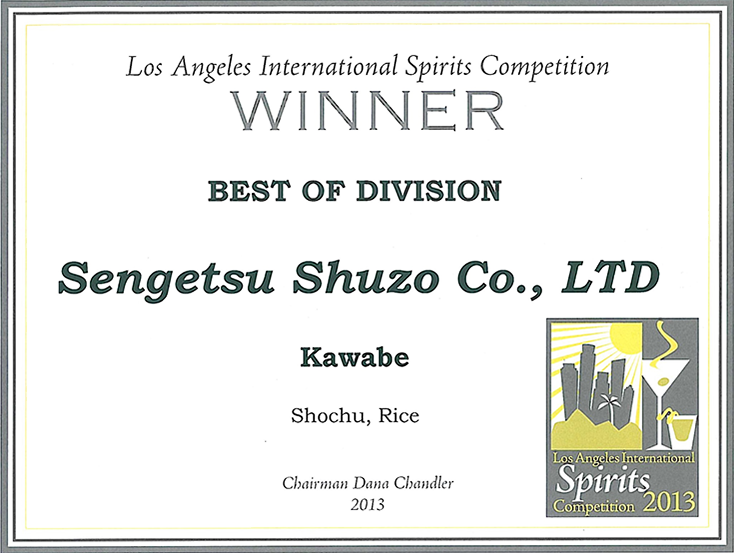 We hope that our pure-rice Kawabe Shochu will let the world know just how amazingly delicious the waters of Kumamoto, and specifically the Kawabe, are. We don’t run national commercials for Kawabe; we rely on people who have been impressed by the quality of water from the Kawabe River and the flavor of our shochu to spread the word about Kawabe Shochu. We will continue to devote ourselves to our craft, and we hope that our Kawabe Shochu helps spread awareness throughout the world about the importance of the water and nature that make all life possible. We recommend savoring the delicate flavor of Kawabe while imagining fireflies flitting over the calm, pure waters of the Kawabe River.